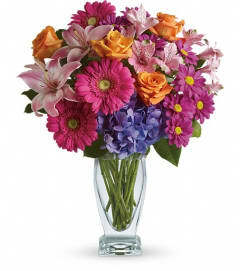 Pop go the petals! 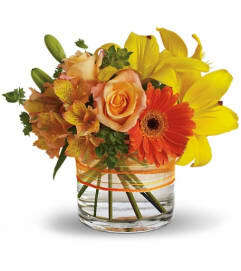 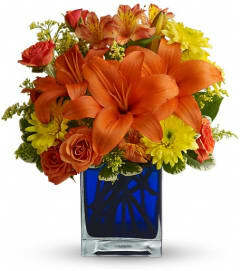 This festive, fun-loving mix of flowers is a cheerful gift for any occasion. Hand-delivered in our exclusive Color Splash cube, these pink roses and bright peach lilies are guaranteed to please! 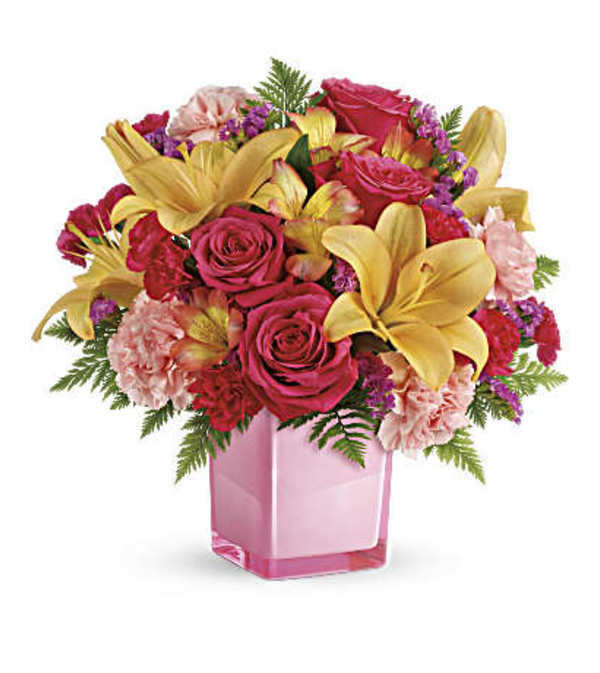 This fresh, fun mix of pink roses, peach asiatic lilies, peach alstroemeria, pink carnations and pink miniature carnations is accented with raspberry sinuata statice and leatherleaf fern.